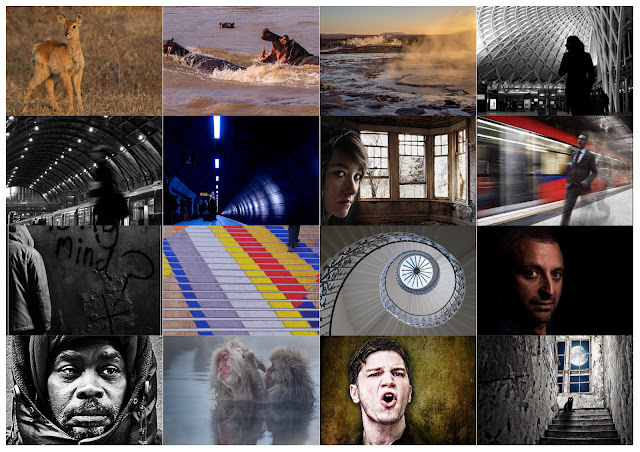 A big thank you to Paul Radden LPRS DPAGB for judging our second Projected Digital Image competition of 2013. Paul held back 9 images for further consideration, before choosing Kath Pieri's "Homeless" as his favourite. The mosaic above shows the best scorers, but you can see the full set of entries in our gallery over here. Tuesday the 5th of February was our first print competition of the year and judge Terry Coffey provided constructive and interesting feedback on all of our prints and chose Darren's Hog Roast as his favourite of the night. Darren assured everybody that no hogs were harmed in the taking of the photograph! Hog Roast and more of the images are available in the competition gallery, enjoy!